Apple Chief Executive Officer Tim Cook has called 2015 the “year of Apple Pay.” So far it’s been underwhelming. The mobile-payments system, which marks its one-year anniversary this month, has failed to catch on with consumers, accounting for only 1 percent of all retail transactions in the United States, according to researcher Aite Group. The service which allows users to pay for purchases by tapping their iPhone or Apple Watch on a device at cash registers has suffered from a lack of promotion and limited number of terminals available in stores. Plus Apple Pay is only available on newer iPhones. Apple, which relies on new products to sustain growth, entered a nascent market when it introduced its mobile-payments system last year. A similar feature had been available in Google’s smartphones through Wallet since 2011, yet adoption was anemic, according to Bloomberg Intelligence. Like most things Apple, expectations were high for the payment service, which was seen as a potential rival toPayPal. In January, Cook spoke of “momentum” for Apple Pay, which, he said, was “off to a very strong start” and being implemented by banks, credit unions and numerous merchants. Competitors have followed Samsung Pay and Google’s Android Pay were both introduced this year but the consumer hasn’t yet. Merchants who adopted the system say that demand has been tepid. Take Panera Bread, one of the retail locations where Apple Pay debuted last October. The service accounts for “low single digits” of the restaurant chain’s in-store transactions, said Blaine Hurst, Panera’s chief transformation and growth officer. It represents about 20 percent of transactions on Panera’s iOS app, which lets patrons place orders right from their phones, Hurst said. Customers can use certain iPhones and iPads to pay in apps. At the Firehouse Subs chain, which introduced Apple Pay in January, the service makes up about 2 percent of all transactions, said Vince Burchianti, chief financial officer of Firehouse of America. “We’re off to a great start and we are seeing continued, double-digit monthly growth in Apple Pay transactions since launch,” Apple said in an emailed statement. More people will own the iPhones that enable Apple Pay the 6, 6 Plus introduced a year ago and their recent upgrades. Apple Pay is also the most popular mobile-payments service available to iPhone users, so once consumers become more comfortable making purchases with a swipe of their smartphone, Apple will have a large and captive audience. “It’s going to grow reasonably slowly for the next three to five years, and then we are going to see a ‘hockey stick,'” a sudden surge, said Thad Peterson, an analyst at Boston-based Aite. Apple will get some help this fall as more retail stores install terminals that accept Apple Pay. Credit-card networks have set an October deadline for most merchants to upgrade their systems to comply with a chip-based smart card standard known as EMV for Europay-MasterCard-Visa. Those terminals, right now installed in less than a quarter of U.S. stores, also accept mobile-payment systems like Apple Pay. The switch to chip-based cards from magnetic-stripe cards in the U.S. may also accelerate Apple Pay’s adoption. Because the EMV chip cards must stay inserted in in-store payment terminals for the duration of each transaction, instead of being swiped, checkout times may be longer and the process more cumbersome. 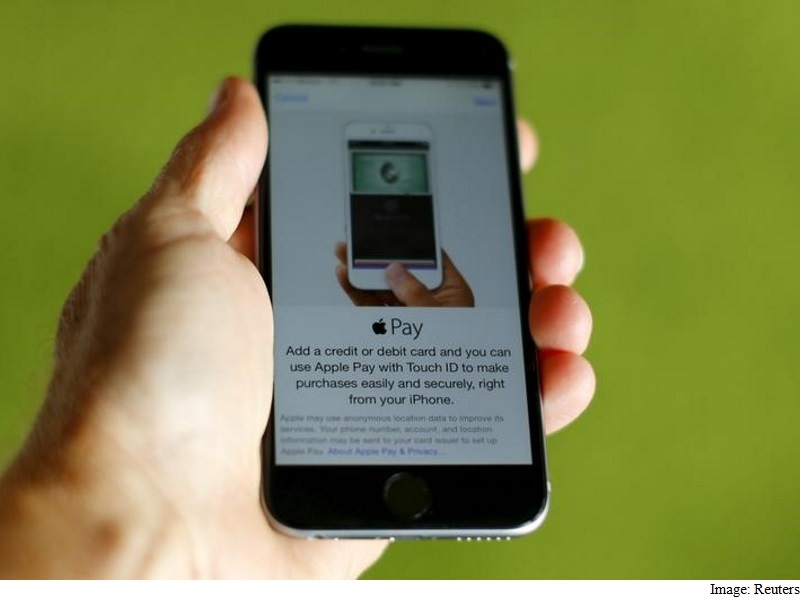 It could push consumers to embrace mobile payments and Apple Pay.